Top 5 Convention Halls in Bangalore Where You Can Host A Gorgeous Wedding Party! 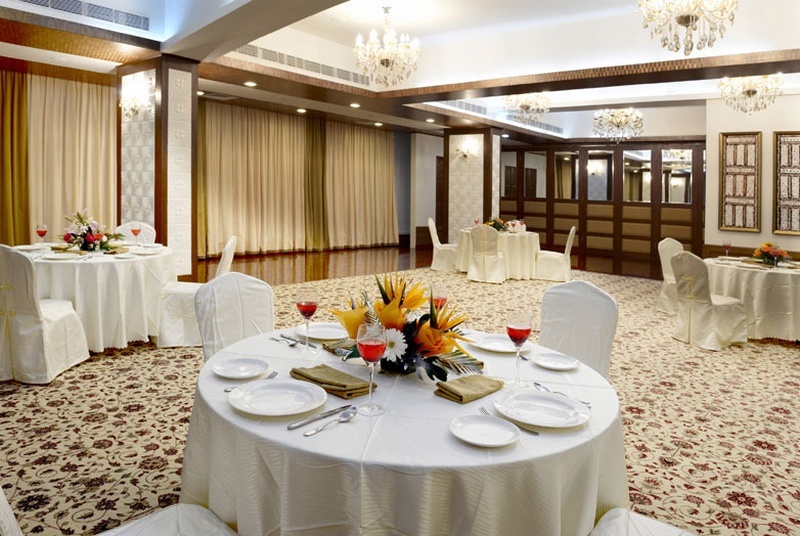 Bangalore has many uber-cool banquet halls which can be decked up for your wedding day and other special events. To make your search easier, we have for you a list of the top five wedding venues in Bangalore. Spacious, elegant design and friendly staff – these convention halls in Bangalore have it all and are perfect for every social event in the city. Whatever be your occasion or requirement, you are sure to find something in this list. Scroll on to find out more about these luxurious properties! The Royal Orchid Resort & Convention Resort is one of the most famous convention halls in Bangalore and is equipped to host a big fat Indian wedding. From intimate pre-wedding rituals to lavish wedding receptions – there is no function that you can’t host at The Royal Orchid. It has three vast party areas that can be customized to suit any occasion. One of the most well-known venues in Bangalore, Pai Vista Convention Hall is a great choice for weddings and other social events. They have two spacious halls on the first and second floor respectively and every sort of event can be organized here. From intimate affairs to lavish ones – they can customize the space for it all. They also have an in-house team of decorators who can use an array of accessories to decorate the space. Artistic interiors and unparalleled service make the Balan Farm Convention Center a great choice for weddings and events in Bangalore. The twin open halls are attached to landscaped gardens and the venue has man-made water bodies for aesthetic addition. You can also get your own decorator and caterer to customize your event and make it truly special. If you are hosting a mid-sized wedding or other social event, Star Banquets, Jayanagar is your ideal convention hall in Bangalore. With elegant interiors and bright lighting, it makes for a gorgeous event space. Their in-house decorators can decorate the space to complement your occasion while their caterers whip up the perfect feast for you and your guests. If you want to host a stylish wedding party, Yolee Grande is a good choice for you. This convention hall in Bangalore has an experienced team of decorators onboard who can make the space ideal for your big day. While they set up the place, you can get your own caterer to treat your guests to a lovely meal.